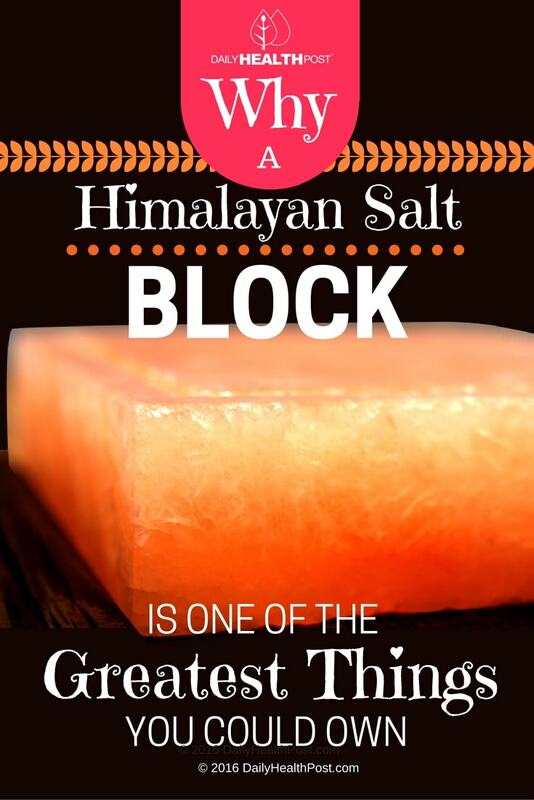 If you’re into natural health, then you’ve probably swapped out your deadly table salt for healing Himalayan salt. Since you’re already sprinkling it on your food and using it in your office, you might as well try cooking with it -or rather- cook on it! 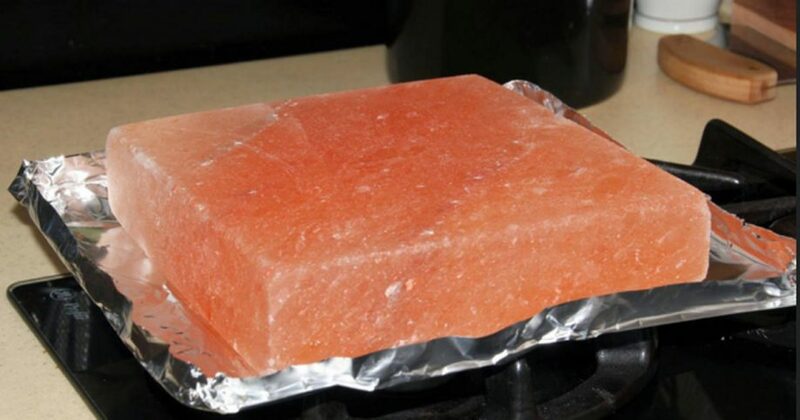 A Himalayan salt block is a large chunk of salt that can be used in lieu of a cast iron skillet. It also contains 84 beneficial minerals that are transferred into your food as it cooks. It even contains trace minerals like boron, chromium, copper, fluoride, iodine, manganese, molybdenum, selenium, and zinc. It also contains slightly less sodium than table salt and won’t negatively impact blood pressure like iodized salt does. The block is naturally antibacterial, so it’ll help get rid of harmful bacteria on your food as it cooks. Plus, salt blocks are incredibly resistant and can withstand temperatures of up to 0°F and 900°F (-17°C to 482°C). Best of all, salt has an incredibly good heat transfer and distribution, meaning that it’s easier to cook your food to perfect on the block than on your basic cookware. If you’re not so keen on salt, don’t worry: because the block isn’t very porous, the surface touching your food is minimal so the flavor of your food won’t be impacted. Instead, it’ll have a light touch of saltiness that elevates its natural flavor. The first thing to keep in mind when it comes to your salt plate is to let it sit 24 hours in between each use (1,2). Regardless of the cooking method you choose, whether it be on a gas range, electric range or grill, the plate need to be heated up slowly to prevent cracks and fissures. Make sure to budget plenty of time to heat up your plate, between 40-60 minutes. Start off at low heat for 15 minutes, followed by 15 minutes at medium heat and 15 minutes at hot before use. If you want to be extra careful, go by bouts of 10 minutes with smaller changes in temperature. You can also use your plate as a serving platter by freezing for 30-60 minutes before use. Since cooking on the plate will alter its color and overall look, it’s best to dedicate one plate to cooking and another for serving. First of all, it’s best not to use it in the oven as the heating process can damage both your block and your oven. Instead, use the methods listed below. For a Gas Range: Place your block on the stovetop and gradually heat up the plate. If you have a laser thermometer, the plate should read 500°F before being ready to use. If not, sprinkle a few drops of water on the block. When the block is ready to use, it should be hot enough to sizzle the drops instantly. Turn off the heat and place your food on the plate to cook. Do not attempt to move the block once hot. When using a salt block, your food should cook very quickly, so stay attentive and have sure you have all you tools nearby as you cook. For an Electric Range: Place a pastry ring, or wok ring on the burner your wish to use and place your salt block on top. The ring will create a small gap between the burner and your block to protect your block. Once set up, heat it up as you would on a gas range. For a Grill: Place your salt block on the grate. For a charcoal grill, place the coal to one side and place the block on the other side. Let it heat up gradually. For a gas grill, heat up the grill slowly as you would a gas range. Keep in mind that food with higher fat content will repel the salt while moist foods will absorb it. If you’re cooking vegetables or low-fat protein, pat them dry using a paper towel and apply a thin layer of high-smoke point oil on the block to create a barrier between the salt and your food. It’s also a good idea to use the same side of your block to sear your food during every use. That way, the cracks stay on one side and won’t degrade your block as quickly. It’s normal for the block to change color as it heats up, so don’t be surprised if it doesn’t stay pink. To clean your block, let it cool completely and scrub with a hard brush under a tiny stream of water. Use a razor to scrape off baked-on grease. Do not use soap as it will wear down your block and your block is already naturally antibacterial. If your block has stubborn grease spots, cut a lemon and dip in face down in kosher salt. Place the lemon face down on the dirty side of your block and scrub in a circular motion. Wipe off the dirt with a dry paper towel. After cleaning, dry completely with a clean cloth or paper towel. Store away from heat, light and humidity in your cabinet or pantry. If you plan on using your salt block regularly, consider purchasing a frame to prevent cracking/splitting during cooking.